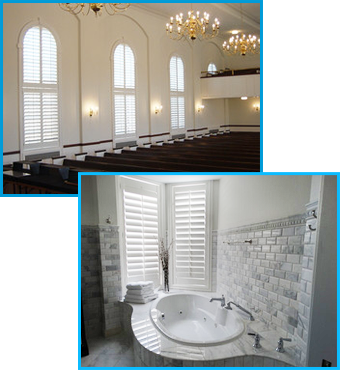 Complete the look of any room with the custom shutters from Chesapeake Bay Shutters. We manufacture, sell, and install wood shutters to our customers in Virginia Beach, Virginia, creating a window treatment solution that meets your needs and fits your style. Made from solid wood, our shutters are more affordable than plastic or pressed wood versions and offer far more benefits. Over time, moisture and sunlight would cause faux shutters to warp, decreasing their energy efficiency and harming the overall look of your property. Ours are guaranteed not to warp and come with a limited lifetime warranty to ensure your investment is fully protected. A good window treatment is both decorative and practical, which is why we work hard to ensure our shutters offer the insulation, light control, and privacy you need. The 1"-thick wood shutter panels are designed for better insulation, keeping your monthly electric bill in check. • 2 1/2" • 3 1/2" • 4 1/2"